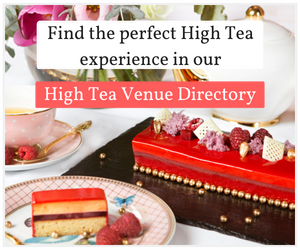 There are many high tea venues to choose from, some with stunning harbour or bushland views, and others filled with crystal chandeliers and glamour. 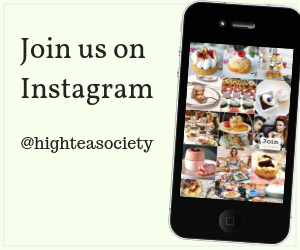 We have done the hard work and put together a list of our favourite Sydney high tea venues. 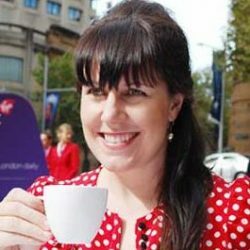 Us lucky High Tea Society contributors give our reviews a star rating and these are the top-rated reviews. When entering The Langham Hotel Sydney there is a real sense of tradition. You would expect that though, being strongly linked to The Langham Hotel London – one of the oldest, purpose-built hotels harking back to 1865. Tiffin at the Langham continues the long held traditions of high tea, serving ribbon sandwiches, scones and petit fours on a three-tiered stand. The tea service is all custom-made for the Langham by Wedgwood, and as you can see from the pictures, it’s quite pretty. Be immersed in the most luxurious high tea experience at the Park Hyatt. Floor to ceiling windows give you stunning harbour views all the way across to the Sydney Opera House. The room is bathed in natural light, with plush chairs pulled up to tables set with fine bone china, champagne flutes and fresh flowers. A modern interior accompanies a very traditional afternoon tea. From entering the Art Deco atrium until taking the very last bite of your indulgent feast, you are taken on a journey of luxurious and exotic 1930s glamour at the Primus Hotel. Teas range from Moroccan Mint to an African Solstice. The selection of hedonistic cocktails isn’t modest either; A wise choice is the 1939 Absolut citron, lychee and cassis, named after the year the building was established. What is unique is the pumpkin tart, popcorn mouse and rhubarb jam that will have you scraping the bottom of the jar. Long an iconic heritage site known for its great food, peaceful bushland setting and spectacular harbour views, this dining and event space has now evolved to become one of Sydney’s most stylish venues. Add to that the scrumptious ‘Afternoon Tea’ service and this place becomes a must-do for a glorious, memorable treat. There’s even a Cocktail Afternoon Tea option. This high ceilinged, bright, powder blue painted ‘Manhattan’ tea salon was lit with a brilliant soft glow, the sun from the vast windows reflecting from the leaves of the park outside, rainbows were cast around the room, a prismatic display cast from the crystal chandeliers. The food was as impressive; Such sumptuous savoury fillings as salmon and avocado, eggplant, pepper and spinach, and coronation chicken were robed in a variety of breads and wraps, with gluten free, veggie, and vegan options available, and thoughtfully, the base layer contained a selection of pies – an Aussie twist on the classic British tradition that symphonized surprisingly well! The chorizo and cheese empanada was our meat lover’s choice, whilst atop a spinach and ricotta flan sat the most deliciously soft poached quails egg, satisfying our vegetarians palate opulently. Served in the Stranger’s Dining Room on the last Friday of each month, ‘High tea in the House’ is an opportunity to visit areas of Parliament usually reserved only for members. With panoramic views across Sydney’s Domain the soft green interior feels like an extension of the lush green lawns outdoors. The fresh cut flowers on each table, thick white tablecloths and Wedgwood table service (all with the NSW parliament crest embossed) completes the setting. Traditionalists can indulge in a well-stocked high tea buffet, while those who think outside of the teacup can relish in a decadent high coffee experience instead. Everything is made in house, with the attention to detail that really shows the pastry team love what they do. The menu is well thought out, with interesting, original pairings without anything being too over the top.